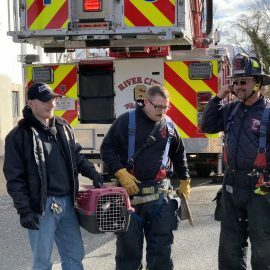 Sometimes, it takes a village to save an animal in trouble. 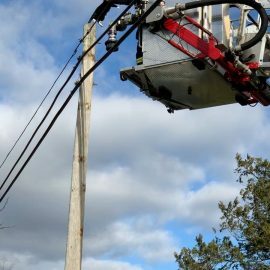 This story began on the Saturday before Christmas when a concerned citizen, Kay MacIntosh, texted a friend, our own Jay Alexander, about a cat atop a utility pole in front of the old armory in Chestertown. 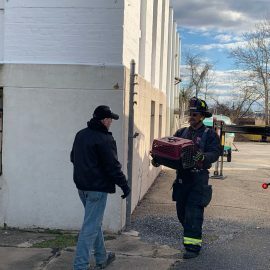 Jay then notified our on-duty animal control officer, Eric Reynolds, who met him there. 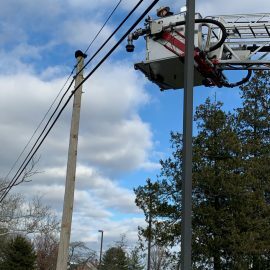 After determining that there was no way that he could safely rescue the cat, Eric contacted the county’s emergency dispatch center, which sent Chestertown Volunteer Fire Company’s tower truck to assist. 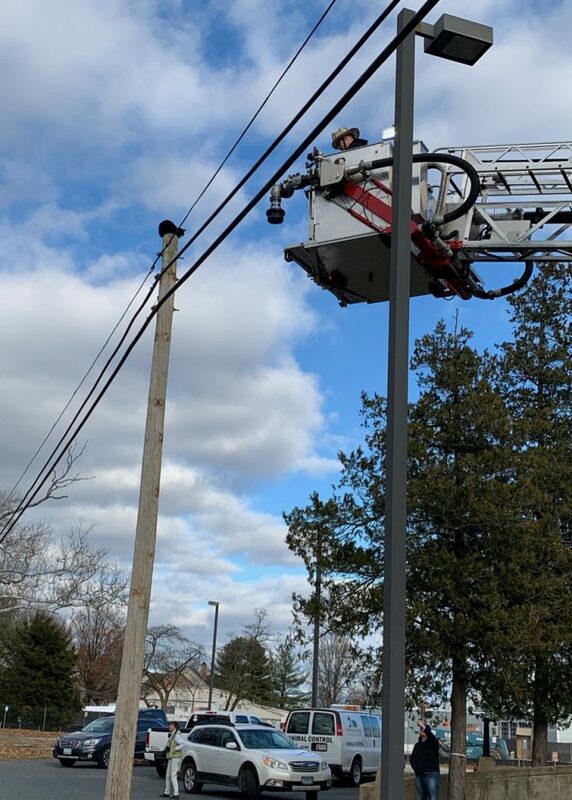 Two local firefighters, Assistant Chief Dave Eason Jr. and firefighter Robbie Spry, with guidance from Eric about how to handle a cat in distress, maneuvered into position and plucked the frightened feline from the pole. 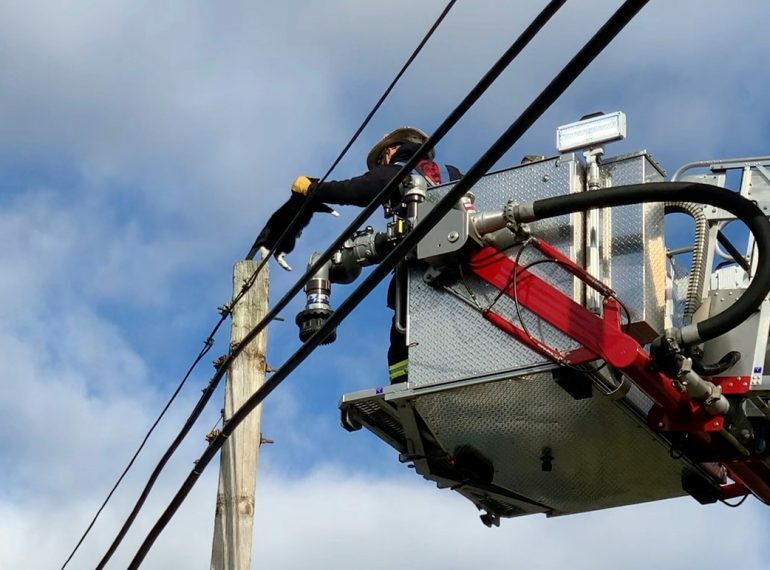 Fortunately, the cat was not injured during her ordeal on top of the pole or her subsequent rescue and the heavily-gloved firefighters escaped relatively unscathed after inserting a terrified cat into a cat carrier 40 feet above the ground. 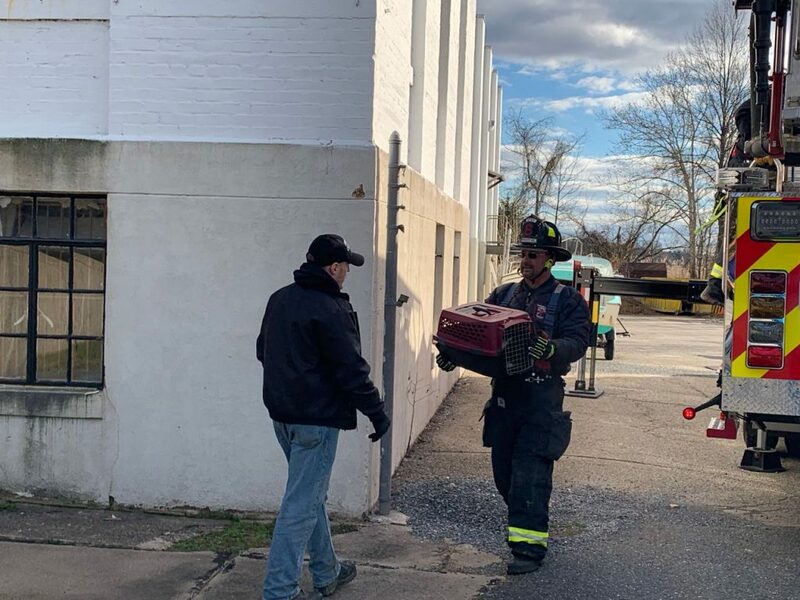 Eric took the cat, since named Cleo, to the Shelter where she is being held as a stray while we try to locate her owner. If she is not claimed, Cleo will be available for adoption. 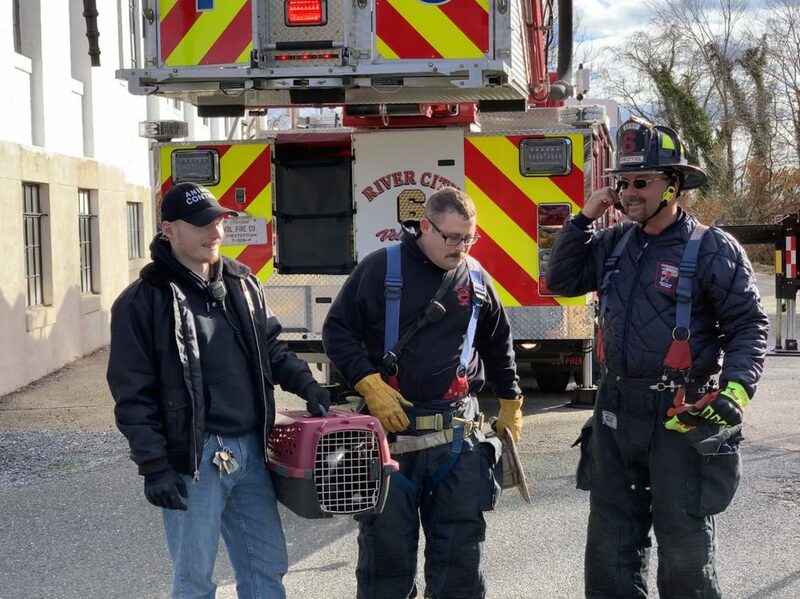 We are particularly grateful to our friends at the Chestertown Volunteer Fire Company, especially Assistant Chief Eason and firefighter Spry, for their efforts to help Cleo to safety. 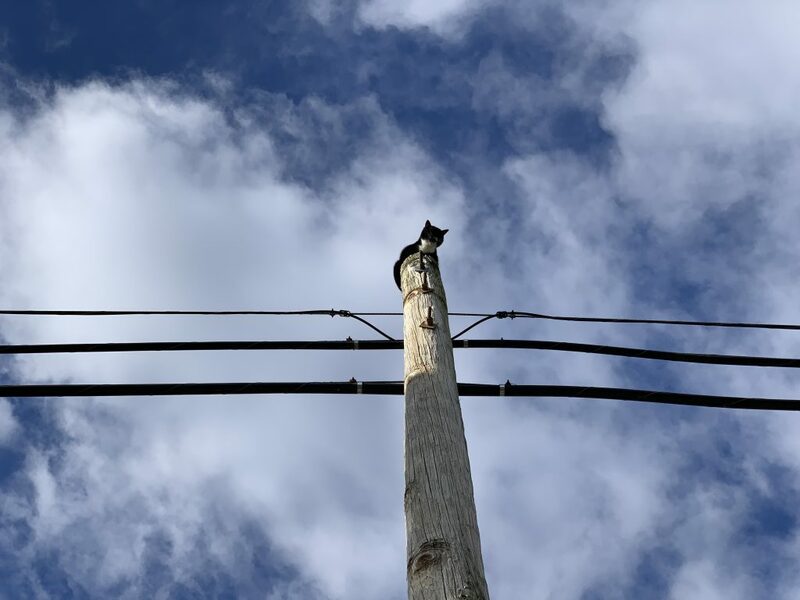 We will likely never know how she came to be on top of that utility pole, but she is one lucky cat! 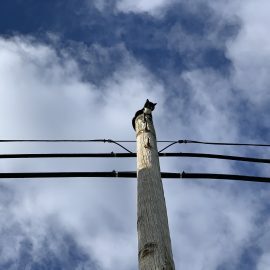 No one came forward to claim Cleo, so she became eligible for adoption just after New Year’s Day 2019. 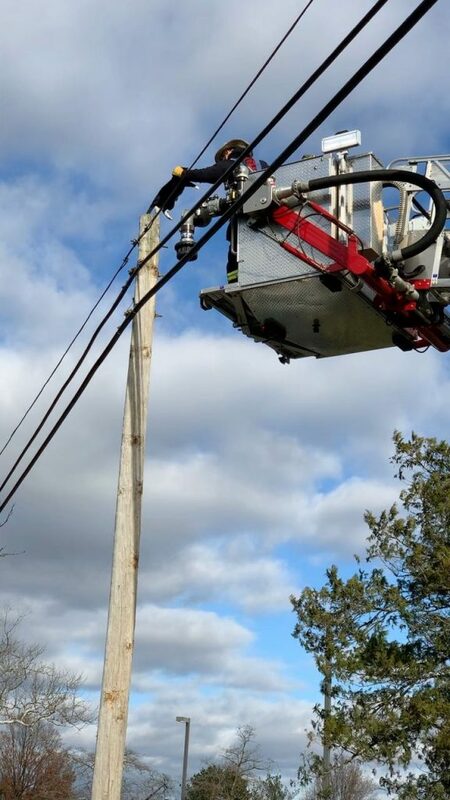 In mid-February, she was adopted and went to her new home.